Keeping track of your affiliate links can be a pain, logging in and out of sites to get your links to share on social media or in blog posts. Even if you’re a little more organized than that and keep them in a spreadsheet, chances are they look something like websitename.com/rioavtroi4923804982elklgh669. AKA, ugly and not something you can easily memorize. Don’t worry- we’ll fix that right up. Challenge: Convert at least five affiliate links into pretty-looking links! Why: You can easily write up messages to promote your affiliate links when all you have to remember is blogclarity.com/tailwind versus http://www.shareasale.com/r.cfm?b=551332&u=394419&m=50947&urllink=&afftrack. 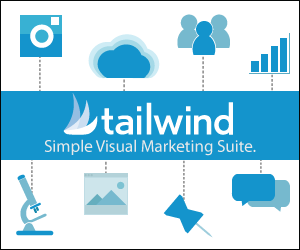 Plus, if you’re talking about a product or service on video (like Facebook Live), it’s so easy to say “just go to blogclarity.com/tailwind).” BONUS: You can also use it to make custom links for your email signup page. Use this nifty little plugin called Pretty Links. It’s only for WordPress (another reason to switch, eh?). You can buy the paid version – Pretty Links Pro – if you think you need it, but I’m good with the free version for now. Pro does let you automatically add affiliate links to certain keywords on your site, which is pretty slick. Whichever you pick, download and install. 2. Copy the URL of an affiliate link you want to shorten. 3. Click Add New Link from the Pretty Link Settings. This will be in your WordPress navigation. 4. Enter in the affiliate details. This part can look confusing at first, but it’s not bad! Here’s what you need to do. Redirection type: Select 307 if you’re using an affiliate link. This one tells search engines the link may change and won’t pass along SEO link juice. If you’re using an affiliate link, you don’t want link juice passed along as it can hurt your site rankings (it’s essentially having a paid link– which is a big no-no). Target URL: Paste the full affiliate link that you copied into this section. Pretty Link: Name your link! Choose something really simple to remember. Title: I just title it the name of the product or service I’m promoting. Group: You can create groups of links, like categories. Good to do from the start if you’re planning on adding lots of links. I set them up from the Groups tab because I couldn’t get it to add new groups from this page. SEO Options: If it’s an affiliate link, always select no-follow. Tracking Options: Do this so you can see how many times a link is clicked from your Pretty Links dashboard. 5. Click Update to save your link. You can then click the clipboard underneath the link (see screenshot from step 4) and paste it wherever! I love Pretty Link! I use it for so many of my sites, and like that I can track the hits as I go… and it’s easy to change out the link in here in case anything changes (rather than going throughout your site and finding all the places you put links). Thanks for new Pretty link plugin .I’ve never tried affiliated link on my blog but now i’m thinking to try it with pretty link. I use Pretty Links as well. It just makes everything look … well… pretty and I also love that I can track the hits to it as well. really thanks for the share ! hope the free version will be enought! this is awesome – thanks for such an easy explanation. Love the 10 minute touch ups! Quick question – can I still use the pretty links plugin with skimlinks? I’m a newbie and just getting started on affiliates. thanks for any info! Hey…very well shared info “How to Easily Shorten and Track Affiliate Links”. i was looking for such types of plugins & a bit confused but now u solved most of my queries.. Good JOb..!! this is amazing – a debt of gratitude is in order for such a simple clarification. Love the 10 minute touch ups! Brisk inquiry – would I be able to still utilize the lovely connections module with skimlinks? I’m a beginner and simply beginning on members. a debt of gratitude is in order for any information! “Greate” HOW TO EASILY SHORTEN” Monitoring your offshoot connections can be a torment, signing all through destinations to get your connections to share on online networking or in blog entries. I need to get serious and implement some of your strategies. Do you think it’s appropriate to tell a blogger or someone you mentioned them in an article? Would it seem opportunistic or little intrusive? But before we proceed, let’s first quickly understand the need of repurposing.